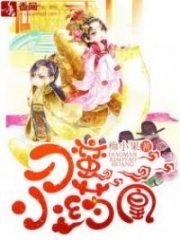 You’re reading novel The Demonic King Chases His Wife: The Rebellious Good-for-Nothing Miss Chapter 1199 online at LightNovelFree.com. Please use the follow button to get notification about the latest chapter next time when you visit LightNovelFree.com. Use F11 button to read novel in full-screen(PC only). Drop by anytime you want to read free – fast – latest novel. It’s great if you could leave a comment, share your opinion about the new chapters, new novel with others on the internet. We’ll do our best to bring you the finest, latest novel everyday. Enjoy! "Luo Luo, you're back!" When Zi Yan saw Su Luo, she immediately ran over excitedly. "Haha, yeah." Su Luo let out a hollow laugh with 'haha'. "Just now, where did you fly to? How did you disappear in the blink of an eye?" Zi Yan's face was filled with curiosity, her eyes s.h.i.+ning like stars. Su Luo forced a smile as she scratched the back of her head. How would she know where she flew to? She only knew that when she flew over, she sprained the neck of someone's Miss by sitting on it. However, this matter was too great of a sin. She really was too embarra.s.sed to mention it. There was a smile in Nangong Liuyun's eyes. His water-like, pitch-black eyes smiled at her, br.i.m.m.i.n.g with deep meaning. Su Luo returned his smile: "You already know?" Nangong Liuyun pinched her little face, and by her ear, he said two words softly. Then, he asked: "Isn't that it?" "Considered you're clever." Su Luo raised her chin complacently, "This Miss finally is able to teleport! This Scarlet Blood Ningpo Figwort truly is the best tonic under the heavens! Not only did it help me to advance two ranks, it also allowed me to teleport to a far away place." It wasn't because Su Luo didn't know how to teleport before, but that she had only been able to teleport within a distance of ten meters. At that time, this ten meter teleportation had also saved her life. However, relatively speaking, the ten-meter teleportation seemed to have much less value. Thankfully, this time, she could teleport long distances. However, even Su Luo herself didn't know just how far she had teleported this time. The moment Su Luo mentioned she could teleport, everyone was happy for her. Zi Yan was even eager to give it a try and wanted Su Luo to bring her along to play. If it were any other day, Su Luo would have agreed to it without saying anything further. However, after going through that experience of spraining someone's neck by sitting on it, our Miss Su's heart was still somewhat on tenterhooks. Just when she didn't know what to do, Nangong Liuyun, on the other side, spoke. "There's a group of people coming over." Nangong Liuyun eyes narrowed, nonchalantly giving them a warning. Although his current strength was at the seventh rank, the instincts from his own body like perceptivity would not lower or disappear when one's strength was reduced. As for Miss Su Luo, that was called having a guilty conscience. She, with two 'swishes', immediately ran up a tree to get a long and broad view. "There really is a group of people coming over." Su Luo jumped down the tree. When the snow from the tree fell onto her body, she didn't even notice. "What? You recognize that group of people?" When Zi Yan saw Su Luo staring blankly with a strange expression in her eyes, she couldn't help ask in a teasing manner. "Hahaha, how is that possible…" Miss Su let out several hollow laughs. Then, she felt her pretence was too exaggerated, so she clearly coughed twice. "Luo Luo, you're hiding something from us oh?" Zi Yan smiled evilly as she approached Su Luo, attempting to interrogate her. Su Luo replied with a deadpan expression: "What matter am I hiding from you? Why don't I know about it?" As she spoke, Su Luo silently fished out a pale yellow fox fur coat and exchanged it with the ash gray sable fur coat on her body. "Out of nowhere, why would you suddenly change clothes?" Zi Yan was becoming increasingly more puzzled. 'Nonsense. Don't change my clothes, and wait for them to come catch me ah?' Su Luo silently ridiculed, cursing in her heart. Although Su Luo was certain that the young lady who got sat on didn't see her face clearly, however, her clothes was a big target ah, it might just be seen by her. Su Luo threw the sable fur coat into her s.p.a.ce, using a 'destroying the corpse and removing the evidence' method. Then, she unhurriedly walked to Nangong Liuyun's side, as if nothing had happened. "Should we avoid them?" Su Luo faintly asked while watching the black dots at the rear become increasingly clearer. "Why should we avoid them?" Beichen Ying puffed out his chest and walked over, saying complacently: "Based on our current strength, we could try and challenge the world. There is only others avoiding us, not us avoiding others." You're reading novel The Demonic King Chases His Wife: The Rebellious Good-for-Nothing Miss Chapter 1199 online at LightNovelFree.com. You can use the follow function to bookmark your favorite novel ( Only for registered users ). If you find any errors ( broken links, can't load photos, etc.. ), Please let us know so we can fix it as soon as possible. And when you start a conversation or debate about a certain topic with other people, please do not offend them just because you don't like their opinions. You're reading The Demonic King Chases His Wife: The Rebellious Good-for-Nothing Miss Chapter 1199. This novel has been translated by Updating. 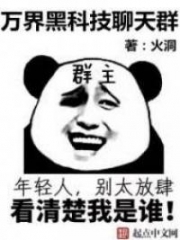 Author: Su Xiao Nuan,苏小暖 already has 10502 views. Current Time is Apr-22-2019 22:34:18 PM.